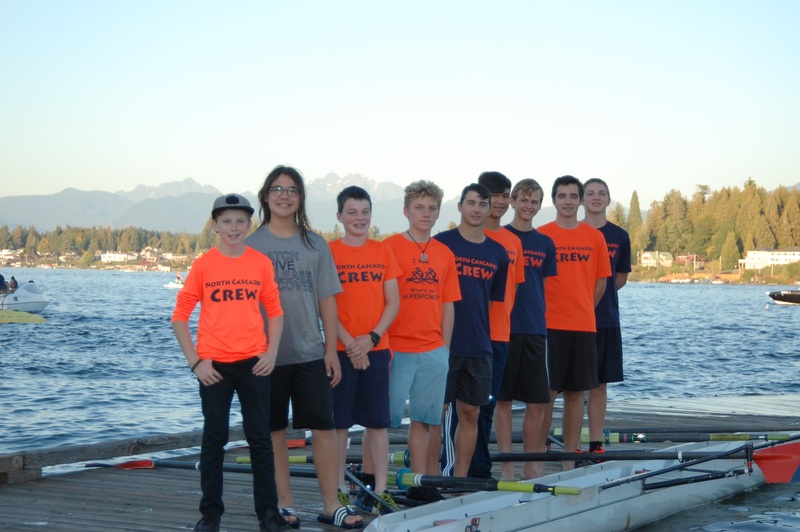 Why should I row with North Cascades Crew? Why North Cascades Crew? It’s Different! Few of us have any real exposure to rowing as a hobby, rowing is a competitive sport, or as a fitness regimen. We know all about soccer and baseball. We’ve all shot hoops on the driveway. But rowing? Really? Yes, really. Rowing is different, and that is a significant part of its appeal. Rowing happens out on the lake, in the fresh air. Imagine getting your workout gliding across the water instead of sweating in a smelly gym. It’s nice out there! People who try it, find it downright addicting! If you’ve wanted to get into athletics, but haven’t found your niche in traditional sports, you owe it to yourself to try rowing with North Cascades Crew. Why North Cascades Crew? Fitness! Rowing is a full-body workout. It builds great core strength, lower body strength, and upper body strength. It builds endurance and lung capacity. It is low-impact. It is an ideal sport to maintain fitness and cross-train for other sports! The crew practices 4 seasons, so no matter what other sports you pursue, you can come back to the crew to stay fit and get stronger for the next season. If you’ve used rowing machines at the gym, you know how good the workout is. What you don’t know is how much better it gets when you include the balance and concentration that comes with rowing a real boat out on the water. Why North Cascades Crew? Satisfaction! Rowing is equal parts power and technique, so you see improvement every week, every month, and every season as you learn “boat feel,” oar handling, and teamwork. You go faster as you get stronger, and you go faster as you get smarter. Fine-tuning a boat full of rowers to work together and achieve together is immensely satisfying. Why North Cascades Crew? Camaraderie! Rowers are fun people – there is no way around it. They revel in the uniqueness of their sport and enjoy cooperating as they compete in the spirit of good sportsmanship. Ask any crew member about the crew and you’ll see what we mean. Why North Cascades Crew? Opportunity! 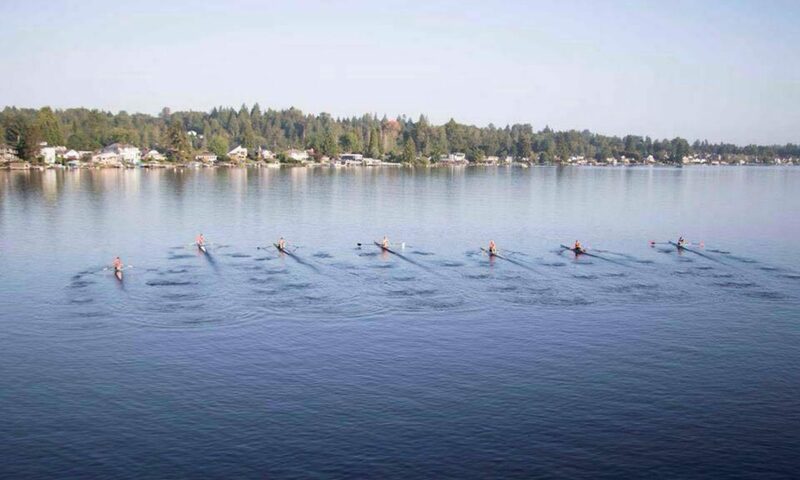 Rowers from North Cascades Crew have competed in national championships, and perhaps more importantly, many have found that rowing is a great way to get a leg up for college. Many colleges offer rowing scholarships that are very much in reach for high schoolers who have rowed several seasons. Plus, college coaches are likely to have a positive influence on your admissions process, even when scholarships are not offered. Want to try a Row – Free?